I spent at least a decade trying to find my way in my career, as an individual. This isn’t a long stretch of time in the grand scheme of things, but when you are only in your 30s, this is a third of your life. It feels big. Starting in high school I began making choices that I felt reflected who I was - I was beginning to develop a clearer sense of who I wanted to be in the world. I took certain classes, read certain things, and made some decisions that set me on a path after graduation. I studied education, and became a teacher. I liked some of it, didn’t like some of it. So I tweaked here and there, and added more steps to my path. As my twenties unfolded I did my best to move forward, make choices, listen to my gut, adjust, and move forward again. Through relationships, places, careers, jobs within careers - choose, reflect, adjust, choose. By the time I was 30 I had married and had a career that felt like the right fit, better than that, I had a specific niche within my career that felt like a very good fit. I was a marriage and family therapist specializing in trauma informed equine assisted psychotherapy. When I say I found a specific niche, I am not exaggerating. It took blood, sweat, tears and lots of time to find this career. That whole identity I had so lovingly, painstakingly crafted has been obliterated. And I am angry. You know why? Because I LOVE my work. I love it. It makes my heart soar and eyes light up while also making me feel grounded and centered and authentic and like I am contributing in a way I never knew possible. But you know what else? I love my kid more. This girl, this one who has turned me inside out and upside down, gives me tunnel vision. I would do just about anything to give her what she needs. So now who the fork am I, and what does this person think, care about, do?? I am a mother, yes. That truth has hit me square between the eyes like a Mack truck. And I am a therapist. But figuring out how to be both has my head spinning. I want to be a stay at home mother, being with my daughter in all her ups and downs. AND I want to work, to use my brain, talk with like minded adults, and contribute to the community. But you can’t be a half mother. And you can’t be a half therapist. Both require so much from a person - body, mind, soul - “phoning it in” doesn’t really cut it. In the beginning, it was easy to choose, those first couple of months at home once she arrived were bliss. Lots of nursing, napping, and getting to know each other. I didn’t need anything else. But by four months I started to hit a wall. Motherhood can be so isolating. Alone. In my house. With a needy (rightly so, but needy nonetheless) baby. It was getting a little bleak. I started back to work part-time, thinking some work and lots of baby was going to be a great balance. But part-time work and full-time ‘momming’ isn’t a silver bullet either. It’s sort of a confusing dance in which you are constantly switching between two partners who dance quite differently, while desperately wanting to give your full attention to both. I am lucky. I get to choose. And yet, I don’t get to choose. None of us do. Whether you are a stay at home mom or a full time working mom or something in between, whether you chose it or you have to do it so your family can get what they need. We don’t really get to choose, because no matter what we are doing, we have left behind who we were before and we have become something different. There are still pieces of who we were before, of course. But before my baby I was a therapist, and after my baby I can still be a therapist, but I will be a therapist-mom. A mom-therapist. A strange hybrid that is frequently feeling the loss of what isn’t being chosen in this moment. What I never heard talked about before I had my baby was that being a mother is full of grieving - even when your child is healthy and things are going well. You still grieve. You grieve the losses of your body, your identity, your time, your freedom, your previous life. You grieve all the moments in which you have to choose between you and your baby. You grieve every mistake, every tear, every flash of anger. You grieve. This new life is overflowing with joy, and also, grief - they both exist simultaneously. It is significantly more complex than it was before, and like an infant, I am crawling along learning how to be, all over again. There will never be a perfect answer, life isn’t like that really. And as a parent in this day and age, I think it’s even more clear that life doesn’t have simple answers. As an adult, we are often required to choose. To move forward we look at our options, and we choose. It is the way things are. That doesn’t mean we don’t get to grieve what doesn’t work out, what doesn’t get chosen though. Grief happens not in the rational brain, but in the lower regions of relationship, love, memory, emotion - and so we feel it whether we “should” or not. As mothers, we are given ample room for the joy, but are we given, are we taking, the room we need for grief? Today was a bad day. Maybe one of our worst. Molars coming in. Autonomy to be asserted. My need to control, be listened to, be cooperated with. It all came to a head today. Multiple meltdowns, terrible sleep, and angry outbursts were had on all sides. The whole day all I wanted was for her to give me some room, a moment to collect myself, to not need so much from me. To please just do what I ask, to not fight every request, to not push every boundary...please, just for a few moments. When my husband got home I felt a wave of relief, only to realize that it’s not actually over, this day, because even with him here in all his joviality, love, and engaging play, she still wants me. She wants to be held by me, she wants to push me away. Back and forth. Back and forth. Over and over. Push. Pull. Push. Pull. It’s maddening. Hair tearing, crying in the shower, maddening. But now she is asleep and all I feel is grief. Grief for a lost day I’ll never get back. Grief for the moments when she felt out of control and I made it worse. Grief for her tears. I want a do-over. And I know tomorrow I will get one, sort of, but I also know that I’m running out of days when she is this small. When she relies on me so heavily. When I am excruciatingly responsible for her well being. That is the good news and the bad. It won’t always be like this, and I am running out of time. So, I have a good cry. I try to get some sleep. And I attempt to have some self-compassion, because the therapist part of me knows I need it if I’m going to move forward. So I remember the stuff that is easy to forget on a “bad day”. Stuff like, we have many more good days than bad. That she is a confident, loving, and funny girl - which came from somewhere. That I love her so dearly I can hardly breathe. That her daddy feels the same way, and she knows. It all matters. It is enough. My anger is gone, for now. I remind myself that every bad day helps me practice doing my best even when it feels impossible. I can see that I am getting better at responding to my new toddler with warmth and calm and joy, little by little. I’m slowly but surely understanding who she is and what she needs in this new stage. I will make mistakes again. Probably tomorrow. But I hope I am modeling something of value for her - that people have big feelings and it’s not the end of the world, that there are times to apologize and times to forgive, that when we wrong someone we work to repair, that anger and love are not mutually exclusive, that relationships and the humans in them are complicated and messy and we all do the best we can. She’s not old enough yet to really be conscious of all this, but she is learning from my example all the same. We all do the best we can. Mamas. Toddlers. All of us. We have good days and not so good days, we cry and we laugh, we apologize and we forgive. Love isn’t either or, it’s both and. It’s pretty common knowledge that having children is messy - they are noisy, often dirty, and care little for rules of decorum. However, what I failed to realize before I had my daughter is how messy kids make our lives, emotionally. Before my child arrived on the scene, I believed myself to be an extraordinarily patient, self-aware guide for others who were emotionally messy. Ha. Boy has my ego taken a big hit over the last 15 months. But you know what good support (through friends and professional help) has helped me to (begin to) realize? I’m not a fallen angel - broken, failed, shamed. The brilliant and inspiring poet Mary Oliver passed away not long ago. Everywhere I look I see her phrase, “What is it you plan to do with your one wild and precious life?” I love this question. This idea. But what I didn’t really internalize until this very moment that I sat down to write about messiness is that she said “WILD and precious”. Not “orderly and precious”. Not “uncomplicated and precious”. She said WILD. Do you know I have never considered that part of her question before? I’ve thought about the fact that my life is precious, that I get only one....but that it is wild?? Ick. That sounds very messy. No thank you. Until I became a parent, I was pretty able to keep that wild part under wraps. If you read my previous post about crossing my desert, you know I am simply no longer able to hide behind my well composed facade of planning and order and the sweet relief of thoughts thoughts thoughts. Feelings were something I only expressed after I’d thought about them loooong and hard - so that then they could be presented in a logical and controlled fashion, thus satisfying the need to be heard without ever having to lose control. Genius! Effective! Then, this small person I invited into my life, nay, insisted on with much trying and laboring, totally upended me. In shorthand, we have entered the toddler years. Let me paint a picture for you. I, in all my patient wisdom and calm connection, ask my lovely toddler to “please not touch the water in the toilet bowl”. And she responds with “oh yes mommy, I’ll just go play outside instead, thank you for reminding me not to play in the toilet.” And scene. Or, if you live in the real world you know what really happens is my daughter knows I don’t like her touching the toilet water, so she walks backwards toward the toilet like I can’t tell that she is still in fact heading toward the toilet despite her very subtle backwards walk, all the while giggling and waiting to see what I do. What I do is (in all my patient wisdom and calm connection) say “please don’t touch the toilet, my love, it is dirty and not good for you”. And then she laughs in my face and runs gleefully to the toilet to splash. And then I repeat myself but louder while also moving closer and she laughs and so I say “honey, no” while moving closer and she laughs and splashes harder and I stand near her and firmly say “no” and she practically climbs into the toilet bowl to splash and then I lose my ever loving mind and turn into the 3 headed monster who doubles in size and breathes fire. When that happens what I want to do is go back to my books, my training, and think. And I do. But the trouble is I want to stay. Can I please stay in the black and white certainty of science-backed parenting books and training certifications and all the lovely things I KNOW??? But I can’t stay there, no matter how cozy and comforting it is. Because my daughter isn’t in those books. She’s out here being messy too, and asking me to come to her. To help her. So, into the mess I must go - because heaven knows I won’t leave her alone with her mess simply so I don’t have to deal with mine. Stepping into her mess ignites all the messiness within me. I could avoid it, I could let it run the show, or I can come to terms with it. Those are my options. I choose coming to terms with it. Hello my name is Kate and I. Am. Messy. But, don’t let me fool you. I will vacillate between all three options, regularly. I’m messy, remember? My work as I see it is to step into the wild, the mess, both mine and hers - not in an effort to tame it (i.e. control it) but in an effort to learn from it. To learn to ride the waves with some grace, together. Because here is the scary truth of it all...accepting myself and all the mess that comes with me is how she learns to do the same, for herself. I cannot stand on the sidelines and teach her how to embrace her one wild and precious life, her fully human life - she will learn most from what I do, not from what I say. So, into the mess I go. A giant sea of sand stretching seemingly forever in every direction with only the expansive white-blue sky and burning sun for company. Empty dunes and sky. The only sound is the foreboding high-pitched hum of the heat. This is where I am right now. Do you see me? The image can seem quite bleak. One might wonder, what have I done to deserve this desert, to be stuck here? What torture and suffering is this? But, the truth may surprise you. I’ve committed no great sin. 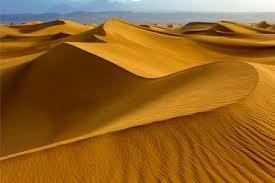 I (naively) volunteered for this desert, and even now that I see it, now that I am here, I don’t want to be rescued. I’m terrified, I’m exhausted, and I want to stay. It’s mine, and it means something to me. Because this desert - this is where I become a mother. I don’t think I fully understood this before, but motherhood is a journey that takes a lifetime, or so it seems from my current vantage. And more specifically, it is a hero’s journey that will last me a lifetime. I am only at the beginning of mine, my daughter has recently celebrated her first birthday - but my sense is once you begin being a mother you never stop being a mother, it just evolves. A mentor of mine taught me about the hero’s journey, and in doing so he pointed something out to me that makes perfect sense considering most cultural norms. Often, women don’t realize that they are on a hero’s journey and that they are, in fact, the heroes of their own story. We are all heroes on a hero’s journey. What happens inside of you when I say you are a hero in your story? Does it resonate, or do you reject it like I did? To clarify, I don’t mean a hero like in the movies - someone who is invincible and dashingly handsome, who saves the day and gets accolades and attention. I mean the hero from our ancient stories. The one who is utterly human, heavily flawed - who walks a path that is treacherous and long. They are a hero because they know it is hard, and yet they keep going because it means something. They try to be the best versions of themselves every step of the way, they fail repeatedly, but they get back up (or let someone help them back up) and they continue on. THIS is a hero. This is the journey of motherhood, isn’t it? It’s many different journeys, I speak about moms because that is what I know - but if this imagery resonates with you, be you mother, father, guardian, or person - then you belong here. I only say mother because this is what I know. Motherhood, for me, is unfolding as a journey that for now feels like a march across an endless desert. Just me, my daughter, and the horizon. (Do I have a partner? Yes, an incredible one. But this isn’t the journey of co-parenting or of family. ) This is my journey of being shattered and put back together again, of being molded. Truly, of being forged in the fire. This desert is where I shed all that I thought I was, because my daughter won’t let me hide, and I can’t bear the weight of it anymore anyway. All the trappings of who I tried to be - the right kind of woman in this world - the right daughter, the right friend, the right wife - and even, the “right” parent. I drop it because perfect is no longer even a remote possibility, my mask has been torn off. I’ve been cracked open and my daughter has shined a spotlight on my most tender insides. So, this where I drop it all. I drop it, I pick up my daughter, and we walk. It’s hot, dry, and we are alone. Sometimes an ally appears and carries her for me for a while, and the break is a relief. Someone brings me a sip of water, or wipes my brow, and it’s a blessing. But, she always comes back to my arms. I will never truly be ‘done’. This knowledge makes the desert seem very big, and very lonely (even with a partner). It would be easy to fall to my knees in this desert, set her down, and weep. And sometimes I do. But then, I get back up, or ask someone to pick me up, and we continue on. Because ultimately, as the sun sets on each day - we belong to each other. She is me and I am her. And not in the way that she is a little Kate destined to carry on my legacy; she is, very clearly already, herself. But in that she is OF me. She was built, piece by piece, of me. And I feel that in my bones when I look at her. And it’s why I cross this desert. And it’s why I don’t want to be saved from it - no matter how thirsty, how burned. I want help, I want support, I lean heavily on my guides - but I don’t want to be rescued. I cross it without a doubt in my mind that it’s where I belong. Today, I must carry her across, and then one day perhaps I’ll walk alongside her, and then one day I’ll follow along behind. But it will be she, and it will be me - step by step. She doesn’t know that I am of her as well. That without even trying, she is building me, piece by piece. Every moment she and I are together I feel my choices unfold before me - she unknowingly presents me with my options for the next step. And I choose. Sometimes from my heart - with strength, warmth, and love; sometimes from my shadow - with fear and anger. And then we take the next step. My greatest fear and greatest hope is in HOW I cross this desert. I will crawl, and scramble, and fall. Up each dune and down the other side. My dream is that I cross this desert in a way that makes me proud of myself, that grows my vulnerabilities into strengths, that I find self-compassion, and that she arrives on the other side - whole. My greatest fear is that I won’t, and that she won’t. It has become astonishingly clear to me. This is my life’s work. To cross my desert in a way that leaves me proud of myself. And to carry her, walk beside her, and then one day follow her in her deserts so she knows she is never alone. It’s not just about raising a happy kid, though that’s part of it. It’s about becoming the kind of person that can raise a human who feels she is whole. It’s a lofty goal, and perfection isn’t an option, but in the striving is where I hope to be found. If you ever discover me having lost my way, you have my permission to hand me my compass and send me back out there. I am flawed, my hero’s journey is only beginning and the way forward isn’t clear, but, I am the hero of my story. I get to be brave and valiant, and be struck down, and rise again. As do you. What are the different types of Equine Therapy - and what are they for? Here is a post I wrote for Tandem Speech Therapy explaining the different types of equine activities that exist in the field, and when you might consider each one. Equine assisted activities can be very helpful whether you are needing support in speech issues, physical therapy, psychotherapy, occupational therapy or personal development and wellness. Click here to read the post on their site! Is Pressure Always a Bad Thing? In this blog post for Natural Lifemanship, I explore the idea of "pressure". Often used in a negative way, "pressure" can bring to mind the idea of stress or coercion. In NL we use it as neither a good nor bad thing - it simply is a fact of life and relationships. The thing that makes it a positive or negative thing for relationships is whether that pressure is appropriate or not. Appropriate pressure is very different from inappropriate pressure (i.e. too much or too little) and YES there is a thing as too little pressure in a relationship! Learning About Attachment Trauma...From My Dog? In this blog for Natural Lifemanship, I share the story of my dog, Olive. A stray with clear attachment trauma, who has taught me so much about what trauma does to a developing brain - human, canine, or otherwise. We humans often believe we are separate from the animals around us, I hope this story helps you feel more connected to the fact that we are just animals too, and share so much with the others around us. In this blog I wrote for Natural Lifemanship, I explore the two major camps of Equine Therapy we see in the field today (of course, not everyone falls into these two groups). In the equine healing professions it seems horses are treated as either tools for our benefit, or as other-worldly, all-knowing higher beings. What does this do to the therapy to believe either of these things? How is our work impacted, how are our clients impacted? It's a topic worth exploring for anyone going into the field. In Natural Lifemanship, we strive for a middle ground where a hierarchy is unnecessary - we are creatures with wants and needs, as are they, and a mutually beneficial relationship is possible if we really try. Enjoy - and please leave a comment if you feel inclined! This May I had the privilege of joining Natural Lifemanship at the Wild Horse Sanctuary in Shingletown, California - truly a once in a lifetime experience!!! For those of you who don't know, Natural Lifemanship offers a handful of trainings for therapists, horse professionals, and interested others to learn about how the brain, the body, and relationship all come together to make our lives better. We have an introductory training called the Fundamentals, and then a secondary training called the Intensive. The Intensive training is a 3-day small group experience in which participants get to choose an unhandled or rescued horse with whom to work on relationship building for the duration of the weekend. It is a deeply personal and profound experience, as well as a wealth of learning for professionals seeking to incorporate horses into their therapeutic work. The intention is for both the humans and the horses to connect and grow in a positive way through their interactions through the weekend. Natural Lifemanship feels strongly about equine work being mutually beneficial for both human and horse. This time, we took the Intensive one step further - in partnering with the Wild Horse Sanctuary in California, we were able to work with 5 young mustangs who had had little to no contact with humans up to that point - and help them prepare for adoption. The situation for mustangs in the USA is a controversial and emotional topic - currently, there are more mustangs in holding pens around the US than there are free roaming on federal land. And unfortunately, the numbers of mustangs on federal land is unsustainable still. If left to their own devices, many mustangs would die of starvation - however, the current solution of rounding up mustangs (often by traumatic helicopter chases) and placing them in holding pens until they are adopted is also unsustainable. One of the major issues facing these mustangs in holding pens is that they are wild and few people are equipped to house, handle, and train a wild horse - so, many spend years, if not their entire lives in small spaces as a means to keep them from starving on federal land. A mustang mare and her foal. The foal thought we were super interesting..approaching and retreating over and over while we were near. The mustangs at the Sanctuary are familiar with humans - they are fed when resources are low - but many don't ever make contact with people. They are left largely to their own devices. Natural Lifemanship has roots in the mustang herds of the West - it is in working to gentle mustangs that founder Tim Jobe developed much of his perspective on horse psychology and behavior that serves as part of the foundation for Natural Lifemanship. The truth is, there are quite a few differences between wild mustangs and domesticated horses - witnessing wild mustangs and experiencing the gentling process with them brought to light much of the disparities between natural horse behavior and what we see in most domesticated horses today, offering rare insight into the workings of the horse brain, especially when survival is at stake. Because of Tim's work with mustangs, and the mustang's place in the hearts of those who work with NL - we were so honored to get to spend time at the Wild Horse Sanctuary. Our Intensive took place in the same way it usually does - 8 participants matched with 4 mustangs to spend 3 days building a relationship. The goal is always mutually beneficial connection in any work we do. The goal for the training was to provide participants with an opportunity to experience themselves in a new and challenging situation, to learn to attune closely to horse communication, to practice calm and predictable relating, and to feel the process of relationship building that a client might feel in their one equine therapy session. Me walking with Raven - both of us calm, relaxed, and engaged with each other. The training was a huge success - the participants were engaged, thoughtful, open and vulnerable - and therefore they were able to make great strides in only 3 days. Mustangs that couldn't relax with humans in their vicinity on the morning of day one were seeking out touch and curiously investigating their human counterparts by the end of day 3. The participants had to find their most quiet, calm, and sensitive ways of communicating while acknowledging how their own fears, patterns, and blind spots were obstacles to relationship. As a therapist and trainer, it is a great privilege to guide people through this process - it is one of my most favorite aspects of my work. It also doesn't hurt that we get to witness young mustangs experiencing relationship with humans, many for the first time, and we get to be a part of them becoming calmer and happier in our presence - a skill that will support them in having long, healthy lives with humans. And since we live in a world where horses (wild or not) intersect with humans, and often rely on them for safety and security - co-existing peacefully is an essential skill we are thrilled to be a part of building with them. A participant and her mustang named Owen - who on Day 1 couldn't tolerate people being in his vicinity. After we had wrapped up the training on day one, we were offered a guided walk into the back pasture of the sanctuary to look for some of the wild herds. We were fortunate to find one after about a half hour of walking. We got to visit with Lightning and his mares and foals - some of whom were curious and eager for small interactions. Lightning kept a close eye on all of us, and let us know when he felt we were too close - a message delivered clearly and with impressive calm authority. The presence of these (mostly) wild mustangs at the Sanctuary is difficult to describe. These horses are built to capably move through rough terrain - with stout legs and strong hooves. Lightning, the palomino stallion up front, with some of his band behind him. The experience at The Wild Horse Sanctuary is one I won't soon forget - and the struggles of the American Mustang is often on my mind. If you are interested in learning more, or are wondering how to help, I have listed some sites below that offer some information. Special thanks to Windows to My Soul for their support for our training!! For more information on joining a Natural Lifemanship training (or joining us next year at The Wild Horse Sanctuary!) - please go to our trainings page. PS - I am not an expert in mustangs, just sharing my experience - I hope to learn much, much more as life goes on, perhaps even gentling one of my own someday. I would LOVE to hear about your experiences with mustangs - please feel free to share pictures and stories! What does an Equine Assisted Psychotherapy Session Even LOOK Like? In the last few years, I have fallen in love with a form of therapy called Equine Assisted Psychotherapy, or EAP for short. It's a bit of a fringe therapy, but it is growing exponentially as we learn more and more about its benefits. However, since it is fairly "fringe", many people haven't a clue what it actually means to do this work, or to be a client of EAP. So, here is my attempt at explaining it. Keep in mind, there are many ways to do this work - this is my experience. Equine Assisted Psychotherapy (EAP) is, simply put, a psychotherapy session that is...assisted...by equines. A therapist, a horse professional (sometimes they are one and the same), and one or more horses come together to support a client in therapeutic growth - mentally and emotionally. This work can have physiological benefits, but that is only the goal as it relates to mental/emotional health (like a release in muscle tension due to decrease in anxiety). So goals are created much as they would be in typical office therapy - for example, a goal could be "decrease symptoms of anxiety", or "increase ability to recognize and manage emotions as they arise". EAP is often confused with Hippotherapy or Therapeutic Riding - which is riding to improve physiological and mental development in those with injuries or mental/physical disabilities - clients with brain injuries, birth defects, autism spectrum, etc can benefit greatly from Hippotherapy. EAP is also often confused with EAL (replace Psychotherapy with Learning) - this is a practice done by horse professionals who are NOT licensed therapists, and whose focus is often on personal growth or coaching. Similar, but not the same. EAL can be powerful work - but if you are looking for psychotherapy, you need a licensed therapist - and EAP. Let's say you are seeking a therapist - you want to work on something emotional, mental, or behavioral (i.e. stress, anxiety, depression, relationship issues, family issues, parenting, trauma, etc) - why might you choose EAP? My favorite reason...because it is experiential. That means that instead of going into an office and talking about your problems, you come to the ranch and experience your problems. Now that may sound unappealing, so let me elaborate. When we see a talk therapist in an office (and I'm not dogging this work, it can be very powerful) - we often arrive, talk about ourselves and our life, and then leave with some ideas about what we might do or think about differently in the week between our sessions. In an EAP session, you come to session and begin to engage in a relationship with a horse or horses - you interact, try to accomplish tasks, try to connect. In doing so, the typical things that often cause you problems in life happen IN session. Do you over accommodate? Then you will over accommodate that horse. Do you try to control others? Then you will try to control that horse. Do you get frustrated and quit easily? Then you will get frustrated and quit with that horse. Do you focus so much on a task that you forget to connect with others? Then that's what will happen with that horse. See a pattern here? So rather than spending hours and hours, weeks and weeks in an office trying to decode all your thoughts/feelings/behaviors - a therapist in an EAP session will actually have a chance to see your behaviors in action, generally right away. Many times, believe it or not, I am able to observe the very heart of a client's work within the first couple of sessions. Not due to any magic or genius on my part - but because who we are with the horses is who we are everywhere. THEN, the therapist, the client, and the horse all come together to make the changes necessary also IN the session. A client doesn't have to go home to try things out and report back, the client can try things out with their horse and therapist there to support them and guide them. The client gets real-time feedback and learns while anxious, or afraid, or angry - and is supported in changing that IN THE MOMENT. It is powerful, transformational, and encourages changes in the brain for a lasting effect. So what might this look like in a play-by-play? When I have a new client, we begin with a bit of history - why are you here, what's been happening in your life, where do you come from, where do you want to go; that sort of thing. This can happen in my office or as we walk around meeting horses. Some clients prefer the movement and comforting interaction of horses while they talk about themselves. Then, we move into choosing a horse to work with. Here the experiential work begins. Some clients choose the horse that chooses them. Others choose the one that reminds them of something or someone. Others choose the one they feel connected to. Trusting yourself, listening to your preferences, and making a decision can bring up feelings and thoughts right away. For some, lots of work is done in the choosing of a horse - for others, it is a simple activity that lasts only the first session. Once the client has found their partner any number of things can happen each session; we simply encourage them to build a relationship. This involves spending time together, asking the horse to move from one place to another, perhaps grooming, navigating obstacles together, noticing how a horse communicates to us, and other things that we call 'groundwork' - like learning how to ask a horse to stop, turn, go, come to you, follow you, stand still, etc. while standing on the ground. We do as much of this as possible without any ropes/halters or other control devices so that the horses can be their authentic selves. Sometimes sessions include riding, but only when appropriate for the therapy. What does all of this matter? Well, as a client navigates all of these tasks they inevitably make requests, have to set boundaries, need to ask for space, deal with closeness and touch, manage frustration and fear, practice assertiveness, build trust, manage anxiety and internal energy...the list goes on. What I have found is that whatever comes up for my clients out in their "real lives" happens in our sessions - because what they are doing is building a real relationship with a horse. It may sound unusual to anyone with limited animal experience - but it is truly possible to have a real, mutually beneficial and reciprocal relationship with a horse - I see it all the time. And it is in this relationship, along with the relationship a client builds with their therapist, in which healing and growth occur. So, some clients may spend weeks standing in a pasture trying to make a decision about which horse to approach - this happens when decision-making and trusting the self is the work. Some clients will spend their time trying to accomplish tasks, but forgetting to connect with themselves and the horse emotionally, leading to struggle in the task - this happens when connection to self and others is the work. Some clients will choose a horse that steps on their feet and pushes them with their nose - the work is then about boundary setting and self-worth. Every relationship is different, every session looks a little different. But ultimately, client, therapist, and horse come together to create an experience....then process that experience...and then try to have a new, better experience. All in an environment where authenticity, non-judgement, and vulnerability are sought and highly valued. The goal in all of this is that the client learns a new way of being in the world - which is really what therapy is all about. ***Be on the lookout for a post discussing the mounted work of EAP - improving brain function, self-regulation, and relationship all at the same time! That feeling you are experiencing as you ask yourselves this question of “What if?” is anxiety. Do you feel it? Adrenaline causing a squeeze in your chest, making your heart beat louder and more quickly? That shortness of breath. That strong desire to jump into action? But ‘what if’ the best course of action was no action at all – at least at first? What if pausing, waiting, and silence were your best tools for a successful outcome? When we experience anxiety and fear (fear of the unknown, fear of making a mistake, fear of being inadequate), our brains kick into survival mode, to our brains and bodies fear of the unknown feels just like fear of a predator – fear is fear. So, as the highly evolved animals we are, our brains and bodies jump into “save me” mode. Adrenaline courses through us preparing for fight/flight, which is exactly the reason we feel the need to jump into action – to hurl angry words at our partner, to get big and demanding with our children, and to launch into a know-it-all lecture for our clients. We are protecting ourselves in that moment. However, when we protect ourselves, when our focus is on “save me”, we aren’t using our relational and critical thinking capabilities. “Save me” mode doesn’t care about other people’s feelings, or about consequences and long-term effects. So imagine that in that moment when your brain and body want to jump into action, to defend or to flee, that instead you choose to pause. To wait. To allow silence and space. This is not always easy, our desire to save ourselves is strong. Asking ourselves to pause in a critical moment takes practice and patience, and most of all, self-awareness. Because, we can’t pause in a moment we don’t recognize is happening. But with practice, you will. And then you will have a choice to pause. And in that pause you give yourself time to slow your heart rate, breathe a little more deeply, and remember that as a clinician you don’t need to have all the answers, as a parent you don’t need to have control, as a partner you don’t need to win the argument. In pausing you allow your brain and body to remember that it is in fact not in danger, that this person or feeling you are confronted with is not the enemy, and that in giving yourself a moment you get to make a conscious choice as to how to proceed. Clearly, I am a strong believer in the pause, the wait, the silence. But, not everyone agrees with me. I cannot tell you how many times I have been told, “Waiting doesn’t work.” Waiting out my anger or discomfort, waiting out my child’s tantrum, waiting out the moment…doesn’t work. "At what point in your waiting did you decide your waiting wasn’t working, and therefore stopped waiting and did something else?" To me, it is like a law of the universe – waiting works, because when you decide to wait out discomfort you don’t stop waiting until discomfort has passed. When you decide to wait out a child’s big emotions, you don’t stop waiting until the wave of emotions have passed. Waiting always works if you allow it. And when waiting is done in a calm, loving, compassionate way – it saves you from hurting your relationships, including the one you have with yourself. So in the end, you do save you…but you also save the relationship in the process. My Natural Lifemanship colleague, Reccia Jobe, shared this adding that she would change "little people" to "anyone". I concur. Anger. We all experience it. Few of us enjoy it. Fewer still understand it. Why does it happen, and what is the point? Anger, like any emotion, is the product of body and mind in response to a stimulus. It happens so quickly that we don't really get a choice in the matter. But, thanks to a highly developed neocortex, we do get a choice in what we do with it. It may not feel that way sometimes, but it's true. But in order to do something constructive with our anger, we need to better understand it - we have to dig a little deeper. Emotions show up to tell us something - they arrive to deliver a message. We can accept and hear that message, or we can ignore it. But, it's coming either way. Anger is no different. If you have ever spent much time with a therapist, you have probably heard the question, "What is beneath your anger?" For many, this is a frustrating question, eliciting a response like, "What do you mean beneath my anger...I'm angry, that's it!" But many in the field of psychology call anger a 'secondary emotion', as in it comes second to a primary emotion...the thing you feel first. So to better understand anger, we have to allow space for that first feeling that leads to the anger. Most often, our primary emotion is more vulnerable - it's fear, or hurt, or helplessness. But, being the human animals that we are, we don’t like vulnerability. The body and brain don’t distinguish between physical vulnerability and emotional vulnerability. Fear of loneliness and fear of a saber-toothed tiger are interpreted as the same in the mind and body – they are simply fear. The body’s natural response to vulnerability is to protect itself. Fight, flight. Anger. We wrap ourselves in an armor of anger. And it works, sort of. We defend, we feel strong, we are independent and self-sufficient – we are not weak! No! But, here’s the kicker. When you wrap yourself in sturdy armor, you have trapped yourself inside…along with those vulnerable feelings. So yes, you are strong on the outside. But you are alone with vulnerability on the inside, separate from everyone else. For many of us, being alone with our vulnerability means…MORE ARMOR! Pile it on, layers and layers of anger, defensiveness, stone walls – vulnerable you on the inside, everyone else on the outside. And this works for a while, it can “work” for a lifetime. But the real tragedy here is that whatever we repeatedly do, we become. This is because the brain grows and develops based on repetition, based on experience. So the more we defend against vulnerability, the more we let anger control us…the easier it becomes. And then anger is our habit, angry is who we are. However, there is another way. We can ask, “what is beneath our anger?” We can tap into our vulnerability, understand it, take care of it. And then our emotions have delivered their message, and they can go. This is what we miss out on if we don’t attend to our emotions. We don’t realize they simply need to give us a message, and when we receive it the emotion subsides. Now some emotions are stronger than others, and some never fully leave – but they do subside. They become manageable, tolerable. So many of us don’t know this because we have spent all our time fueled by avoiding, fueled by protecting against…trapped in our armor. But, if I don’t write about this, I will have that nagging feeling. I’m disappointed because I really enjoy the act of writing and am sad I lost my first…and second thoughts. I’m afraid because I’m putting myself out there, I could be rejected. I also remember that my blog doesn’t exist because I am important and others should listen. It exists because I have thoughts I want to put into words, and that if these thoughts are even remotely helpful to someone else – even one person, it was worth it. It is why I studied psychology; it is why I am a therapist – to help myself and others live a life of our choosing. But I recognize I cannot write coherently about anger and vulnerability while in an angry, vulnerable place. Which means it is time for a break to get re-centered. Get my stream of consciousness back. Twenty minutes on my yoga mat, and now I feel like I can face this page again. Could I have come back to this after only 20 minutes had I not faced what was beneath my anger? I don’t think so, maybe you could have, but I couldn’t. I’d still be stomping around in the house, maybe have turned on the TV in disgust, thinking “Screw it, nobody is going to read this anyway.” That’s where my anger would have gotten me. It’s not very appealing, is it? We all experience anger, it is not shameful or low, it just is. But, as conscious beings, we also get a choice in what we do with our anger. Do we let anger run amuck? Or do we search beneath the anger, listen to its message, and then let it pass? Do we allow ourselves space to decide? To acknowledge our vulnerability, learn from it, use it – so we can get back to nourishing our souls with writing, connecting, listening, loving? The power and the pain of it is that it is entirely, utterly, your choice. **Working with children on the concept of anger? I LOVE this visual from The Gottman Institute: The Anger Iceberg! This video that's circulating the internet, the one of the teen girl being ripped out of her desk by a "peace officer" in a classroom, has grabbed me and won't let go. If you haven't seen it, it is a violent interaction between an adult and a teen on a school campus. Which, in every way, is disturbing to me. Some may describe it differently - if you have a strong stomach, watch it yourself and see what you think. (I will not be sharing it here.) Lots of talk has occurred about who the teen girl is, who the officer is, and who was in the right. Honestly, I don't think any of it is relevant. Yes, her history could explain some things; yes, what happened leading up to this could be of interest. But in all seriousness - she is a teen...a child, who was sitting quietly and was forcibly removed from her seat, causing injury. Nothing else really need enter the conversation. So, as a family therapist, and one who has spent some intensive time working with at-risk children with serious behavior issues - I have been thinking about this video a lot, as well as the conversations that are happening around it. I have been thinking about what I would have done, what my beliefs and professional knowledge would have informed me to do. I've been thinking about why so many people want to justify this officer's actions. Because I absolutely believe this situation could have been resolved peacefully. I know this because I, and the therapists I work with, do it all the time. Not because of any magic of character or secret phenomenon. But because from our experiences we have learned one very simple, very powerful thing: that for our children's sake we CANNOT allow anger to cause us to lose control of ourselves. A child's (including a teen's) brain functioning still has a long ways to go in its development. Executive functioning (problem-solving, impulse control, cause-effect thinking, emotion regulation, etc) is still under development until our mid-twenties. And that's if we've had a stable, safe upbringing. So, at best, a teen's ability to control her impulses and regulate her emotions is under-developed; therefore, if you are the adult in the room with this child, your number one job is staying calm. You have to show her how. Honestly, most of my professional advice for parents comes down to this: do what you have to do to stay in control of yourself, to stay calm. Take a break from the moment, BREATHE, get professional help, call for backup...whatever it takes. Because the moment you lose control of yourself, you've lost the moment. I think we can all put ourselves in this officer's shoes to a certain extent. She is defiant, the whole class is watching; he is thinking "She WILL leave this classroom if it's the last thing I do." Anger is creeping up and taking hold. But is that really what is important here - unquestioning obedience? Is this teen exiting the classroom actually the thing that matters? Or is modeling to this teen that no matter how defiant she is, the adults will never harm her; and modeling to her that when you are mad, frustrated, livid even, you can still do the right thing - isn't THAT what we want her to take away from this? So the challenge is, and this is absolutely a challenge - it doesn't come easy to any of us. The challenge is: You cannot ask a child to do what you cannot do yourself. This is a common refrain among professionals who work with "tough" children. You cannot ask a child to do what you cannot do yourself. If you can't handle a difficult situation calmly - how can you expect them to? So, regardless of who said what, or how this moment came to pass; a man responsible for the safety and order of a school campus let a child anger him to such an extent that he lost control of himself and became violent. This was an extraordinary event, one many of us will never experience I hope. However, I do believe there are lessons for every day life in this. Anger is a natural feeling we all experience, it arises for various reasons and no one is so regulated that they avoid anger completely. But, what we DO with anger is a CHOICE we make. No matter what anyone else does, we still get to choose how we respond to them, to life. It just doesn't matter how disobedient or difficult this girl was being - she still needed to be treated like a human being who was struggling to make a good choice. It doesn't matter how angry the peace officer was, he still needed to find a way to calmly resolve the situation. Because now, this girl not only has physical wounds but emotional as well. Her trust in her school administrators, police officers, and adults in general (if she ever had any) has now been horribly ruptured, possibly irreparably so - and what kind of choices does a teen with no faith in her school, law enforcement, or authority figures make? What kind of adult does she become? And what's more, when we allow anger to take over, what kind of person do we become? I've been on a writing hiatus. I am told this is the most surefire way to let your blog die. However, after more than a year of being immersed in some life changing work, too many thoughts are swirling in my head, telling me it's time to write them down again. If it ends up just being for me, I am ok with that. But my sincere hope is that there are others who might engage with these thoughts, in whatever way is useful - agree, disagree, cause to think, cause to change, cause to unfollow. I like to hear others' perspectives and I like conversations that make me stop and think - this is why I write a blog rather than simply in a journal. Perhaps much of what I write will be just for me. But if not, I hope you will say something, ask something, push back - because, as Gary Snyder says, "...to think clearly we must avoid narrow interests or entrenched opinions." The purpose of this blog going forward will be about the same - my experiences and thoughts as a professional psychotherapist, applied to the day in day out aspects of our lives. I am currently pulled to think on and write about the topics of connection, fear, relationship, nature (human and otherwise) - pretty similar to before. However, I may stray into theory and philosophy some these days as I am reading and challenging my own thinking more. It's possible I've grown more holistic and "woo woo" in my time away - so, if you do decide to read along, prepare yourself for that. As I have said before, take what fits for you, leave the rest.....but maybe let it percolate first. I intend to do the same. So last night I went to see Dr. Dan Siegel speak - yes, for my friday night I went all by myself to a lecture on neurobiology - and it was AWESOME. I am bursting with new ideas for my work, as well as for my personal life. I wanted to share some of those thoughts with you today, in a (sort of) quick post. Last night, Dr. Siegel spoke at length about Brainstorm, but also about advancements in research on brain development in general. Three major ideas he spoke on last night I felt were concepts that not only inspire me to continue in the direction I am headed professionally, but they are also concepts that I think are easy to take home and apply in your own life, right away. Cultivating Mindfulness, where you practice focusing on what is happening in the moment, using your senses to take in information, and calm your thinking about the past/future, has incredible positive effects. Previously, the positive effects were hard to communicate - the general consensus was 'it just makes you feel better'. NOW though, we know that practicing mindfulness, slowing down your thinking, using your senses, and focusing on the present moment ACTUALLY CHANGES YOUR BRAIN AND BODY. When you are "present", your body releases Telomerase, an enzyme that actually helps to slow the aging process in your body. When you are "present", you brain actually expresses genes in a more healthy way helping to prevent disease in the body. When you are "present", inflammation is reduced in the body (inflammation is thought to be one of the most damaging problems in modern health). Being "present" also results in more brain integration (a whole other topic) which in turn makes us more able to regulate our emotions and control our nervous system. Being present is a very good practice, you can start today easily. A great introductory activity: sit comfortably, close your eyes, place a hand on your chest, and notice your breath for at least 5 breaths. That's all you have to do, notice your breath, pay attention to what it feels like. Easy! Funnily enough - these are the exact same things that adolescents are drawn to as they transition from childhood to adulthood. So, simply put, in order to stay young, ACT YOUNG. We have significant clusters of neurons around our hearts and our intestines. Our bodies receive information in non-verbal, unconscious ways through these clusters that is extremely valuable. Yes, we are conscious beings with the advantage of critical, analytical thinking - but don't ignore it when you "just know something", your body is communicating to you just as much as your thinking brain! I hope you feel as inspired by this information as I am - how could you apply this in your everyday, real life? Do you have a spot in your home that is your spot? The small area you return to over and over again for whatever reason; the spot others (the cat, the dog, your spouse) get kicked out of if they should ever have the lapse in judgement to sit there…in your spot? I have one, on the left side of my sofa, I surround myself in pillows and have a perfect view of my backyard - I'm sitting here now, as a matter of fact. Or maybe you don't have a spot, but I bet you have a side of the bed, or your side of the bathroom sink, or the place you usually park your car at work (I have all of these things). We as human beings have an innate desire to belong. Some would call it being territorial, a feeling of ownership, or sense of control, and I don't disagree - but I think fundamentally, at our very core, it's about feeling like we belong. You get into your side of the bed, or settle into your favorite spot in the house, and you have the sensation, "I'm supposed to be here." There is something so comforting and peaceful about that sensation. You are exactly where you need to be, you belong right here. So often, people come into my office describing the emptiness of being lonely - not just the sensation of not having people around - but real existential loneliness, the feeling of "I am all alone in this life". It can be expressed and felt in so many ways. From a misunderstanding, to a break up, to growing up - we all have those moments where we think, "Crap, I'm alone." Even when you are surrounded by a hundred loving people, you can still feel this way. Now, philosophers, scientists, and theologians have debated this idea of alone-ness for thousands of years - I am not in the business of debate, I will leave that to them. What I do know is that people feel alone all the time, and simply because of that fact, it is an idea worth addressing. Reason is a beautiful thing, but it has a way of demonizing the unknowable, even if we all share it. So, how do you face that feeling of being alone? One idea I include in much of my practice: Cultivate, or return to, places where you feel you belong. A sense of place can be a powerful thing. Just consider the difference in the way you feel between a friend's home and your own home. Or the difference you feel between a bustling city and a remote mountaintop. Places infuse us with their energy - imagine what energy you would receive from a place that truly felt like home. Your spot - it could be in your house somewhere. But, you aren't always at home, you can't take your home with you, and homes change over time. I challenge you to think bigger. Go outside. Find a spot that reminds you that you belong on this planet, among the living things that grow and suffer and thrive. You breathe the same air, you feel the same sun and rain, you look at the same sky. Look for a spot under a tree, or in your backyard, or along a creek, and return there often. Notice the way that life continues there through day and night, summer and winter, year after year. Notice that all you have to do to be welcome there is to simply be. No judgment, no pretense, no expectations. If you want to go a step further - tend to this place. Pick up trash, remove clutter, help it grow. Caring for something outside of yourself might seem like a small thing, but you will be pleasantly surprised by how much more a part of something you feel if you infuse it with your energy, as it infuses you. So, tell me, where do you belong? Why is it that we, as human beings, are so ready to label and classify others? Imagine walking down a busy street, passing people right and left. A man brushes past while talking on his cell phone, wearing a dark suit with his hair neatly combed - what do you immediately assume about this person? That he is successful? That he is wealthy? That he is busy...or smart...or a workaholic? Every one of us is guilty of passing judgment on another person - we assume, we label, we decide. But why do we do it? This automatic thinking process (as in, our brains do it automatically) actually has evolutionary origins, there is a very real, very valid reason for why we do something that in today's world can get us into a lot of trouble. It has to do with safety, and protecting ourselves. Imagine a prehistoric human walking alone in a vast wilderness - he happens upon a large predator, teeth bared, claws exposed, snarling and growling. Now imagine what would happen to this prehistoric human if he had to stop, examine this predator and go through the conscious thinking of "What is this creature?" "It is showing me its teeth, why would it do that?" "Look at those claws, I wonder what that means when he has them stretched out toward me?" "What an awful sound! It is so loud and intimidating, I think I am intimidated by this creature!!" "If I am intimidated, I should run away!!!" In the minute and a half that our poor prehistoric human took to decide the creature he encountered was dangerous and should therefore flee....he was killed, by said creature. Luckily, that is not what happens. When a human happens upon a predator, our heart rate increases, we begin to sweat, and in a split second we know we've stumbled into a dangerous situation and need to RUN. Not because we thought it through, but because we just knew. Throughout our evolution, this automatic thinking process has saved humans from thousands of easily life threatening events. It is often a very good thing to have going on inside of us - these are our instincts. In our modern culture though, life has shifted so rapidly that evolution hasn't quite caught up. There are much fewer predators out there that we might happen upon on our walk to work. Yet, our minds are still cranking out those automatic thoughts. Those automatic thoughts quickly and efficiently categorize - often into two blanket categories: familiar and unfamiliar. And in modern day life, where we routinely come into contact with millions of others in real life or through media/technology, our automatic thinking is in overdrive. This automatic categorization of familiar and unfamiliar isn't just limited to people, though. Most commonly, I see this crop up in our modern lives as fear of the general unknown....fear of change. In our private lives, in our work, in our social constructs, in our politics, in our culture at large - familiar is good, unfamiliar is bad. We fear what we do not know...and if we aren't careful, that fear dictates our lives. Certainty makes us feel safe, there is no grey area, no ambiguity to wrestle with if we are certain. In the grey area is where we question ourselves, our purpose, our path - it is admittedly a very scary place. But is it worth it? Is it worth it to question what you "know"? For some, maybe not. But for many, I would argue that what lies within the unknown is a world of possibilities for yourself, your future, and for those you affect. So, I challenge you, particularly as we head into the new year, to examine the things you are "certain" of - how did you get there? Did you arrive at certainty through introspection and reflection? Or was it the easy, automatic way? Ask yourself WHY you must live in a certain place, or go to a certain school, or have a certain thing, or believe a certain belief - is it a decision based on your values, your purpose, your needs - or does it come from something else? Does it come from fear of the unknown? What Is Your Role in the Family? We are coming up on a long holiday of being with family and friends. As a therapist, it is a time to consider what being at home with the family will be like for each of my clients. For some, it is a great joy they look forward to for weeks, for others, it is a stressful experience of regression and repression, and for others, it is neither good nor bad...it just is. This is the perfect time to talk a little about your role in your family in therapy, and to consider your role in the family on your own. A highly respected, yet "outside the box" thinker of family therapy is a man named Carl Whitaker. He said, "There is no such thing as an individual, only a fragment of a family." I truly believe this. Never are we able to walk this earth without having an interaction with another human being that influences us in some way - this is the most obvious with our own nuclear families. Our interactions with them either bring hurt, joy, renewed strength, adjusted boundaries, reflection, consideration, peacefulness, or any of the other many emotions and thoughts that come during our human experience. The important question is, what happens with you when you go home? I believe this to be important because if you can reflect a little before, and prepare for the visit, you are much more likely to have a satisfying experience while you are with all your loved ones. Some theories and therapists talk of birth order when considering roles in the family. Are you the eldest? Responsible, level headed, accomplishing all your supposed to? Or perhaps a middle child - taking care of others and ensuring peace and harmony over the holidays...while also sinking into the background a little? Or maybe your birth order has landed you as the youngest - "the baby", never able to truly be an adult when you are at home? More than likely, some of these characteristics fit for you, but there are many other ways you play a role in the family that may have nothing to do with strict birth order. Perhaps you belong to a step family, with layers of competitive feelings and complicated negotiations for belonging. Perhaps a family member passed away earlier than expected, and a family dance ensued, everyone attempting to sort out where they fit in now. The message I am trying to convey - is that everyone plays a role in the family (whether they are aware of it or not), but it rarely fits completely into a predetermined category. If you're on a path toward a healthy, enjoyable relationship with your family, it is important to take a step back and examine what role you play when you are all together. And then ask yourself, is this what I want? How else could I be when we are all together? Familial relationships are always complex, with layers built upon layers as time goes by. Time for reflection (and a good therapist) can help you discover the patterns in your family, the roles everyone plays....and with that awareness, you give yourself a choice. Is this how I want it to be? Or do I need something different? Happy Holidays to everyone, I hope you take the time to step away from the "shoulds", take time to reflect, take time to recharge - so that your new year can begin with love and purpose. You've heard it a million times, "Count your blessings". But sometimes, that can be really hard. Sometimes life feels hard. A bad mood, a bad day, a bad month, can get anyone down - why would you possibly want to count your blessings then? Well, because it might be the very thing that turns your bad mood, bad day, or bad month, around. More and more research is emerging that shows that focusing on and expressing gratitude can actually change the way you feel, and change the way you perceive your life. Yes, a good day can make you feel grateful, but also it turns out, feeling grateful can give you a good day. In this HuffPost article, research from UC Davis and U of Miami showed that "participants in the gratitude [journaling] group felt better about their lives as a whole and were a full 25 percent happier than the... group [that journaled about daily hassles]. They reported fewer health complaints, and exercised an average of 1.5 hours more". This NY Times article described the effects of gratitude, "Cultivating an “attitude of gratitude” has been linked to better health, sounder sleep, less anxiety and depression, higher long-term satisfaction with life and kinder behavior toward others, including romantic partners. A new study shows that feeling grateful makes people less likely to turn aggressive when provoked..."
Many more studies exist, although I will not post them here. They are out there in the interwebs for anyone interested in more verification - but if you'd rather, take it from me....gratitude is good for you, whether you feel grateful at this moment or not. Beginning to cultivate gratitude sometimes requires effort, and can feel like another task on your to-do list at first, but over time it becomes habit (that's how our brains work, what we repeatedly do becomes easier and easier and even moves into our automatic thinking). If you are interested in cultivating gratitude, consider journaling (either writing or drawing) or mindfulness practices like meditation and yoga. Choose a moment in the day (like just before bed) to jot down the things you are grateful for that day...it could be as simple as a warm cup of tea and getting home from work 20 minutes earlier. There's no better time to be grateful than on Thanksgiving - give it a shot, and watch your moods and perspectives shift toward the positive! I'm a big proponent of getting outdoors. If you've followed much of my blog, or seen my website, you know that I believe nature to be an integral part of our well-being. More and more these days, research is showing that our detachment from nature, the natural order of things, and our own human nature, is having a significant impact on us; our mental, physical, and emotional health are all being affected. If you want a quick boost of happy, calm, centered feelings...head outdoors. If you struggle with anxiety, depression, ADHD...head outdoors. If you are having a bad day, a frenetic day, or a "why am I here?" day...head outdoors. Nature always tops my list, for my own personal well-being as well as a professional recommendation as a therapist. I know the activation energy can be hard. It is so easy to say, "After I do this load of laundry", "After I finish this paper", or "Maybe I'll just watch an episode of Law & Order instead." But really, get up, get out...you'll never regret it. If you are in Austin, there are a plethora of beautiful places to walk, think, and play. Here I've shared with you a few of my favorites - just in case you need a little more nature in your life. Emma Long is a beautiful piece of the hill country, west of Austin off of 2222. Turkey Creek hiking trail takes you far away from roads and buildings, through the woods, where dogs (and humans!) can run off-leash. There are also camping and park grounds that are great for cooking out, swimming, and general family fun. Wild Basin is a beautiful 227 acres in west Austin. Over 2.5 miles of hiking trails criss-cross the property, with varying levels of difficulty. Some trails open up onto amazing views of the hill country. Guided hikes available, keep an eye out for the endangered species you can spot out here! Town Lake Trail is a 10-mile hike and bike trail that wraps around Lady Bird Lake (the portion of the Colorado River that runs through downtown Austin). A well-worn trail that is entirely lakeside - what this trail lacks in solitude, it makes up for in personality, location, and approachability. A great place to walk with a friend or ride your bike. Stay away from the very center of town (S. Congress/S. First areas) if you are looking for quieter walking. Shoal Creek Trail follows Shoal Creek north and south through the middle of Austin. It varies between quiet nature paths and road-level biking paths - but the quieter spots away from Lamar are beautiful places to get away for a head-clearing run. I recommend the portion of the trail that begins at 31st, where the trail drops below road level; you can almost forget you are in the middle of town. The Austin Greenbelt is one of my favorite aspects of this city. All over South Austin there are pockets of secluded nature that provide awesome opportunities for walking, running, biking, rock-climbing, and general nature-adoring and exploring. I encourage you to not miss out on the wetter weather months on the Greenbelt, when Barton Creek runs full. It is remarkable that Austin has kept such stunning pieces of wild nature intact within our city limits - all you need is an hour...although I'd recommend giving yourself several to really de-stress and reconnect. Take your dog, your kids, or just your journal, and let yourself remember the magic and peace of just BEing in this world. If you are interested in a guided therapeutic experience in the outdoors, look no further than my Nature Therapy Group, being held at Wild Basin on Nov 17th. Please click here for more info. I'm always looking for more places to visit - where are your favorite spots in and around Austin to reconnect with nature, and yourself?